A health time bomb is ticking in Masvingo City where over 66 000 residents are at risk of contracting diseases such as cholera owing to a shortage of water in the town. Water remains erratic in the ancient city of Masvingo and as it stands the city fathers seem not to care. Throughout Masvingo the tapes have been dry for the five days, locations like Victoria Ranch, KMP have five months without water and residents are irate about the failure by the city fathers to rectify the problem. Masvingo is the oldest city in Zimbabwe and rapid rural to urban migration has seen high demand for water. The water pipes that were installed by the Rhodesian government during the colonial era have never been replaced by the successive city fathers since the attainment of the independence in 1980 and the bursting and leaking of these water pipes has become the normal than the exception. Masvingo Residents Trust feared an outbreak of diseases such as cholera if the water woes persist. MRT urged the City Fathers and city administration to urgently tackle the water problem and restore running water. The city authorities have also gone to the extent of disconnecting water from the residents the underprivileged and child headed families who fail to settle council bills thereby causing congestions at the Oxfam donated boreholes some of which need repair. Women are mostly affected by water blues as they are the ones that mostly do the laundry as well as cooking and the nursing of the infants. The water shortages in the ancient city of Masvingo has forced residents to resort to the bush system to fulfil the laws of nature and some are depending on the heavily polluted Mucheke river for laundry. 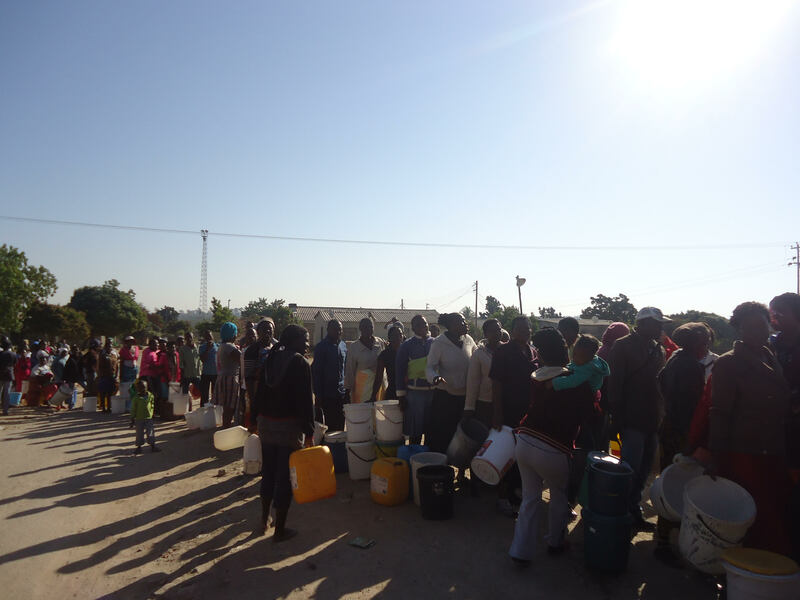 Masvingo Residents Trust is strongly condemning the council management as there are failing to have an alternative if there will be no water supply, the council is failing even to maintain the existing boreholes in case of water shortage. The council should come up with a semi-permanent solution. The water quality is within state standards despite the odor issues and corrective and preventative action are needed to be taken immediately.